Where did your passion for seed start? 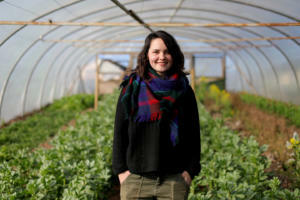 I became interested in seed during my traineeship at Trill Farm Garden. We grew a crop of beetroot seed for HSL during my first year at Trill and I really enjoyed seeing how a biennial crop transforms from a familiar vegetable to flowering shoots. I then went on a trip around Europe visiting different seed producers out there. I was extremely inspired by the culture of seed production and guardianship I encountered in Europe and I’m now working to bring that culture back to the UK! Why would you urge people to buy seed from a local, agro-ecological producer? There’s so many reasons to buy local, agroecological seed. Of course, buying this kind of seed is more environmentally sustainable option but I think the main reason to buy is because you’ll end up with a better vegetable crop. The majority of the seed available in the UK is grown in far-flung climes, much warmer and drier than the UK. This seed is often not well adapted to UK growing conditions. By buying local seed, you’ll end up with plants that are better adapted to your growing situation. We’ve certainly found this at Trill where the crops grown from our own seed often outperforms that which we’ve bought in. As well as buying local and agroecological seed, it’s also worth supporting local vegetable growers who are using open pollinated (OP) seed. Food producers using OP seed is the bedrock of a sustainable food system so it’s important to support growers who are already doing it. If you could recommend just one variety, which would it be? It’s very difficult to decide on a favourite vegetable let alone a favourite variety! 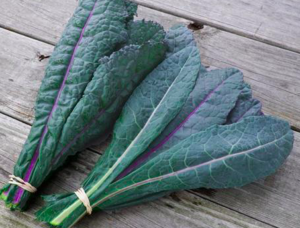 But I suppose, at this time of year, I’d say Dazzling Blue Kale – it’s a lovely Cavolo Nero type kale with purple mid-ribs, available from The Real Seed Catalogue. Very tasty and very beautiful!